Remember our Ginger Swing? Well, consider this Orange Swing cocktail recipe the semi-identical twin of the Ginger Swing. The components of the cocktails are the same, but we just switched the Senior Blue Curaçao Liqueur with Senior Orange Curaçao Liqueur. Since our colored liqueurs have all the same orange taste, but just different color, it allows us to play with the colors of our cocktails. The Ginger Swing has a fierce blue color, but this Orange Swing cocktail also has that touch of tropical because of the vibrant deep orange color. Add Orange Curaçao in a shaker, fill it with ice and shake well. Take the glass, add some ice cubes and strain the cocktail into it. Top it off with Ginger Ale and garnish with a lime wedge. 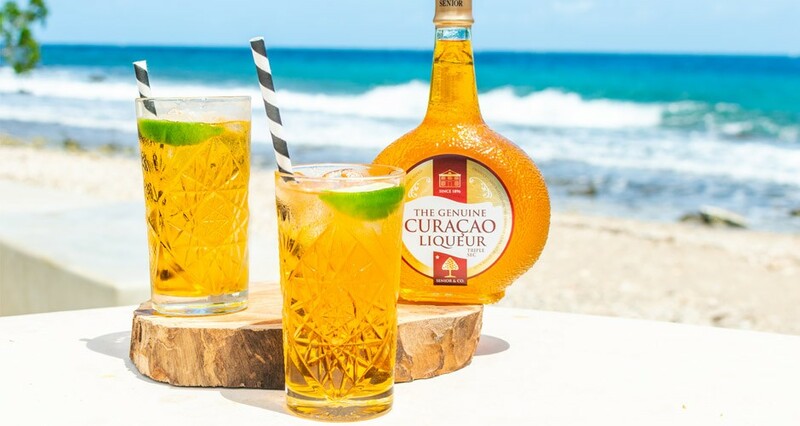 Another method is to pour Orange Curaçao in a glass filled with ice and top it off with Ginger Ale and garnish with a lime wedge.